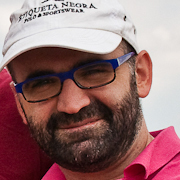 Riccardo Albertoni is a researcher at CNR-IMATI. He got a Ph.D. in Electronic and Computer Engineering at the University of Genoa in April 2007 and he completed his specialization with a post-doc funded by ERCIM-Marie Curie at the Ontology Engineering Group, Polytechnic University of Madrid in February 2013. His research interests are in the fields of knowledge management: linked data, metadata analysis, ontologies, semantic similarity and (linked) data quality. He has been member of the W3C Data Web Best Practice Group, contributing to the Data Web Best Practices and co-coordinating the activity pertaining to W3C Data Quality Vocabulary. He has actively contributed in different EU-funded projects related to the analysis of metadata (e.g., INVISIP, AIM@SHAPE) and the exploitation of semantic web technologies and linked data best practices (e.g., eENVplus, NATURESDIPlus, CHRONIOUS). He has been in charge of the CNR-IMATI technical development for the prototypes produced in most of the aforementioned projects. He served as programme committee member for various international conferences and co-authored more than 50 publications including scientific papers and technical reports. SSONDE, a framework providing instance similarity and enabling in a detailed comparison and ranking of resources through the comparison of their RDF ontology driven metadata. 2nd Workshop on Quality of Open Data (QOD 2019) (QOD 2019), co-located with the 22st International Conference on Business Information System (BIS 2019), 26-28 June 2019, Seville, Spain. The 30th International Conference on Database and Expert Systems Applications (DEXA 2019), August 26 - 29, 2019,Linz, Austria. The Thirteenth International Conference on Advances in Semantic Processing (SEMAPRO 2019), September 22-26, 2019 - Porto, Portugal. 1st Workshop on Quality of Open Data (QOD 2018), co-located with the 21st International Conference on Business Information System (BIS 2018), July 18 - 20, 2018, Berlin, Germany. The 29th International Conference on Database and Expert Systems Applications (DEXA 2018), September 3 - 6, 2018, Regensburg, Germany. The Twelfth International Conference on Advances in Semantic Processing (SEMAPRO 2018), November 18, 2018 to November 22, 2018 - Athens, Greece. The 1st International Workshop on Quality Engineering Meets Knowledge Graph (QEKGraph 2017), co-located with the International Conference on Knowledge Capture (K-CAP 2017), December 4, 2017, Austin, TX, United States. The Eleventh International Conference on Advances in Semantic Processing (SEMAPRO 2017), November 12 - 16, 2017 - Barcelona, Spain. The 28th International Conference on Database and Expert Systems Applications (DEXA 2017), August 28 - 31, 2017, Lyon, France. The 4rth edition of the Workshop on Linked Data Quality (LDQ - ESWC 2017), Portoroz, Slovenia. The 3rd International Conference on Big Data Innovations and Applications, (Innovate-Data 2017), 21-23 August 2017, Prague, Czech Republic. Workshop on Smart Descriptions & Smarter Vocabularies (SDSVoc), W3C, 30 November - 1 December 2016, CWI, Science Park, Amsterdam, Netherlands. 27th International Conference on Database and Expert Systems Applications (DEXA 2016), September 5 - 8, 2016, Porto, Portugal. The Eighth International Conference on Advanced Geographic Information Systems, Applications, and Services (GEOProcessing 2016), April 24 - 28, 2016 - Venice, Italy. The Sixth International Conference on Advances in Information Mining and Management, (IMMM 2016), May 22 - 26, 2016 - Valencia, Spain. The Tenth International Conference on Advances in Semantic Processing (SEMAPRO 2016), October 9 - 13, 2016 - Venice, Italy. International Symposium on Foundations and Applications of Big Data Analytics, (FAB 2016), In conjunction with ASONAM 2016, 18 - 21 August, 2016, C Davis, Davis, CA, USA. International Symposium on Big Data Management and Analytics (BIDMA 2016), 25-26 April 2016, Calgary, Canada. 2nd International Conference on Open and Big Data (OBD 2016), IEEE-TCI, 22-24 August 2016, Vienna, Austria. International Symposium on Foundations and Applications of Big Data Analytics, (FAB 2015), In conjunction with ASONAM 2015, August 27-28, 2015-Paris, France. 26th International Conference on Database and Expert Systems Applications (DEXA 2015), September 1 - 4, 2015- Valencia, Spain. The International Conference on Open and Big Data (OBD 2015), August 24-26, 2015, Rome, Italy. The Fifth International Conference on Advances in Information Mining and Management, (IMMM 2015), June 21 - 26, 2015 - Brussels, Belgium. The Seventh International Conference on Advanced Geographic Information Systems, Applications, and Services (GEOProcessing 2015), February 22 - 27, 2015 - Lisbon, Portugal. The Ninth International Conference on Advances in Semantic Processing (SEMAPRO 2015), July 19 - 24, 2015 - Nice, France. The 7th International Congress on Environmental Modelling and Software (iEMSs), June 15-19, 2014, San Diego, California, USA. The 25th International Conference on Database and Expert Systems Applications (DEXA'14), September 1-5, 2014, Munich, Germany. The Sixth International Conference on Advanced Geographic Information Systems, Applications, and Services (GEOProcessing 2014), March 23 - 27, 2014 - Barcelona, Spain. The Eighth International Conference on Advances in Semantic Processing (SEMAPRO 2014), August 24 - 28, 2014 - Rome, Italy. The Fourth International Conference on Advances in Information Mining and Management (IMMM 2014), July 20 - 24, 2014 - Paris, France. The Third International Conference on Advances in Information Mining and Management (IMMM 2013), November 17 - 22, 2013 - Lisbon, Portugal. The 7th International Conference on Advances in Semantic Processing, (SEMAPRO 2013), September 29 - October 3, 2013 - Porto, Portugal. The 24th International Conference on Database and Expert Systems Applications (DEXA'13), August 26 - 30, 2013, Prague, (Czech Republic). The Fifth International Conference on Advanced Geographic Information Systems, Applications, and Services (GEOProcessing 2013), February 24 - March 1, 2013 - Nice, France. The Sixth International Conference on Advances in Semantic Processing, (SEMAPRO 2012), September 23-28, 2012 - Barcelona, Spain. The Second International Conference on Advances in Information Mining and Management, (IMMM 2012), October 21 - 26, 2012 - Venice, Italy. The 23rd International Conference on Database and Expert Systems Applications (DEXA'12), September 3 - 7, 2012, Vienna (Austria). The Fourth International Conference on Advanced Geographic Information Systems, Applications, and Services, (GEOProcessing 2012) January 30 - February 4, 2012 - Valencia, Spain. The First International Conference on Advanced Communications and Computation, (INFOCOMP2011), July 17-22, 2011 - Bournemouth, UK. The 22nd International Conference on Database and Expert Systems Applications (DEXA'11), IRIT, Paul Sabatier University, August 29 - September 2, 2011 Toulouse, France. The 5rth International Workshop on Ontology Content (OnToContent 2010), Oct 25 - 29, 2010 Crete, Part of the OTM (OTM'10). The 5th International Conference on Semantic and Digital Media Technologies, (SAMT 2010), Dec 1-3, 2010, Saarbruecken, Germany. The 21st International Conference on Database and Expert Systems Applications (DEXA'10), 30 August - 3 September 2010, Bilbao, Spain. The Second International Conference on Advanced Geographic Information Systems, Applications, and Services, (GEOProcessing 2010), February 10-15, 2010 - St. Maarten, Netherlands Antilles. The 4th International Conference on Semantic and Digital Media Technologies, (SAMT 2009), Dec 2-4, 2009, Graz, Austria. The International Conference on Advanced Geographic Information Systems & Web Services (GEOWS 2009), February 1-6, 2009 Cancun, Mexico. Demo and Poster of the The third international conference on Semantics and digital Media Technologies, 3- 5 December, Koblenz, Germany. The 3rd International IFIP Workshop on Semantic Web & Web Semantics (SWWS '07), November 25 - 30, 2007 Vilamoura, Algarve, Portugal. The Second Knowledge Management in Organization Conference (KMO 2007), September 10th-11th 2007, eBMS - University of Lecce, Italy. The 1st Int. Workshop on Shapes and Semantics, June, 17th 2006, Matsushima, Japan. Canadian Semantic Web Working Symposium, June 6th 2006, in conjunction with Canadian AI 2006, Laval University, Québec city, Canada. The 2nd International Workshop on Geographic Information Management (GIM '05), August 22nd - 26th, 2005 in conjunction with DEXA 2005 and EGOV 2005, Copenhagen, Denmark. Multimedia Tools and Applications, An International Journal, Editor-in-Chief: Borko Furht, ISSN: 1380-7501 (print version), ISSN: 1573-7721 (electronic version), Springer. International Journal of Knowledge and Learning (IJKL), Editor-in-Chief: Prof. Ernesto Damiani, ISSN (Online): 1741-1017 - ISSN (Print): 1741-1009, InderScience. World Wide Web Journal, Editors-in-Chief: M. Rusinkiewicz; Y. Zhang, ISSN: 1386-145X (print version), ISSN: 1573-1413 (electronic version), Springer. Transactions in GIS, Special Issue on Semantic Similarity Measurement and Geospatial Applications, Editors: Janowicz K., Raubal M., Schwering A., Kuhn W, ISSN: 1361-1682. The International Journal of Geographic Information Science, Editor: Brian Lees, ISSN: 1365-8816,Taylor & Francis. International Journal of Web Engineering and Technology (IJWET) , Special issues to appear Web-based Knowledge Representation and Management. Guest Editors: E. Damiani, P. Ceravolo, ISSN: 1741-9212 - ISSN: 1476-1289. Engineering with Computers, An International Journal for Simulation-Based Engineering. Editor: M. Shephard ISSN: 0177-0667, ISSN: 1435-5663 (electronic version). Multimedia Tools and Applications Journal / Journal on Web Semantics, Special Issue on Semantic Multimedia. Guest Editors: Y. Avrithis, S.Staab, N. O'Connor, R. Troncy. The second international conference on Semantics And digital Media Technologies (SAMT 2007) Genoa, Italy, December 2007. High Performance Computing, HiPC 2004, 11th International Conference, Bangalore, India,December 19-22, 2004. Albertoni R., De Martino M., Quarati A. Documenting Context-based Quality Assessment of Controlled Vocabularies, IEEE Transactions on Emerging Topics in Computing,[Accepted pdf],to appear. Albertoni R., De Martino M., Podestà P. Quality measures for skos:exactMatch linksets: an application to the thesaurus framework LusTRE,Data Technologies and Applications, Vol. 52 Issue: 3, pp.405-423, (2018) [Accepted pdf], [Published pdf]. Albertoni R., De Martino M., Podestà P., Abecker A., Wössner R., Schnitter K., LusTRE: a framework of linked environmental thesauri for metadata management, Earth Science Informatics,Vol. 11, Issue 4, pp 525–544, (2018)[Published Version],[Accepted pdf]. Quarati A., Albertoni R., De Martino M., Overall quality assessment of SKOS thesauri: An AHP-based approach, Journal of Information Science 43(6): 816-834 (2017) [Published version], [Accepted pdf]. Albertoni R., De Martino M., Di Franco, S.,De Santis V., Plini P.; EARTh: An Environmental Application Reference Thesaurus in the Linked Open Data cloud, Semantic Web 5(2): 165-171 (2014) [pdf]. Albertoni R., Camossi E., De Martino M., Giannini F., Monti M.; Context Enabled Semantic Granularity, Special Issue "Advances in Mining, Modelling and Managing Complex Data", Int. J. Data Mining, Modelling and Management, Vol. 3, No. 2, ISSN (Online): 1759-1171 - ISSN (Print): 1759-1163, InderScience, (2011) [preprint]. De Martino M., Albertoni R.; A multilingual/multicultural semantic-based approach to improve Data Sharing in a SDI for Nature Conservation, International Journal of Spatial Data Infrastructures Research, Vol.6, ISSN 1725-0463, pp. 206-233, (2011), [pdf]. Albertoni R., De Martino M.; Asymmetric and context-dependent semantic similarity among ontology instances, Journal on Data Semantics X, LNCS Vol.4900, Springer Verlag, pp 1-30, (2008). [preprint]. Albertoni R., De Martino M., Quarati A., Linked Thesauri Quality Assessment and Documentation for Big Data Discovery, International Conference on High Performance Computing and Simulation, 2017, ISBN 978-1-5386-3250-5, 2017. Albertoni R., De Martino M., Quarati A.; Integrated Quality Assessment of Linked Thesauri for the Environment. EGOVIS 2016: Electronic Government and the Information Systems Perspective - 5th International Conference, EGOVIS 2016, Porto, Portugal, September 5-8, 221-235. Abecker A., Schnitter K., Wössner R., Albertoni R., De Martino M., Podestà P.; Latest Developments of the Linked Thesaurus Framework for the Environment (LusTRE), Adjunct Proceedings of the 29th EnviroInfo and 3rd ICT4S Conference 2015 Copenhagen, Denmark September 7-9, 2015. Albertoni R., De Martino M.; Semantic Technology to Exploit Digital Content Exposed as Linked Data, eChallenges e-2011, 26-28 October 2011 Florence, Italy. Kiefer S., Rauch J., Albertoni R., Attene M., Giannini F., Marini S., Schneider L., Mesquita M., Xing X., Lawo M; The CHRONIOUS Ontology-Driven Search Tool: enabling access to focused and up-to-date healthcare literature, eChallenges e-2011, 26-28 October 2011, Florence, Italy. De Martino M., Monti M., Albertoni R.; Towards a Multilingual Framework for SEIS, Proceedings of 25th International Conference EnviroInfo, Joint Research Centre, Ispra, Italy, October 2011 . Albertoni R., De Martino M.; Semantic Similarity and Selection of Resources Published According to Linked Data Best Practice, position paper accepted at OnToContent 2010, Part of the OTM (OTM'10), [pdf]. Carlisle M.A., Green D.R., De Martino M., Albertoni R., Desconnets J.C., Wawer R., Caballo M.; INSPIRE and Nature-SDIplus: further progress towards a spatial data infrastructure (SDI) for nature conservation in the EU, IALE (UK) Conference Proceedings, Brighton (UK), 13--16 September (2010). Plini P., Di Franco S., De Santis V, Uricchio V.F., De Carlo D., D’Arpa S., De Martino M., Albertoni R.;	A Joint Initiative To Support The Semantic Interoperability Within The Giida Project, International Symposium on Geo-information for Disaster Management (Gi4DM), Torino Italia, 3-4 February (2010). Albertoni R., Papaleo L., Robbiano F.; Preserving Information from Real Objects to Digital Shapes, Eurographics Italian Chapter Conference, De Amicis, Raffaele; Conti, Giuseppe (Eds. ), pp.79-86 2007. Albertoni R., Camossi E., De Martino M., Giannini F., Monti M; Semantic Granularity for the Semantic Web, SWWS-OTM Workshops 2006, LNCS Vol. 4278, Springer, pp. 1863-1872, (2006). [pdf]. AlbertoniR., Bertone A., De Martino M.; Visualization and Semantic Analysis of Geographic Metadata. Proceedings of the 2005 ACM Workshop on Geographic Information Retrieval, Bremen,Germany, November 4, 2005, ACM Press, pp. 9-16, (2005). Albertoni R., Bertone A., De Martino M.; An approach based on visualization and ontology to analyse categorical attributes in geographic metadata, 2nd International Conference and Exhibition on Geographic Information, Estoril, Estoril, May 30- June 2, (2005). Albertoni R., Bertone A., De Martino M.; Information Visualization and interactive GEO-DATA mining in site planning process EG- Eurographics Italian Charter, Milano July 2002, (2002). Albertoni R., De Martino M., Semantic Similarity Assessment to Browse Resources exposed as Linked Data: an Application to Habitat and Species Datasets, abstract and presentation at INSPIRE conference 2011, 27 June 2011 – 1 July 2011, (Abstract +Presentation). Albertoni R., De Martino M., Giannini F., SKOS and semantic web best practice to access terminological resources: NatureSDIPlus and CHRONIOUS hands-on experience, The 9th European Networked Knowledge Organization Systems and Services (NKOS) Workshop at the 14th ECDL Conference, Glasgow, Scotland, 9-10 September 2010, (Short Paper + Presentation). Albertoni R., De Martino M., Semantic Similarity Of Ontology Instances Tailored on the Application Context. Poster at 15th International Conference On Knowledge Engineering and Knowledge Management (EKAW 2006), Podebrady, Czech Republic, 2-6 October 2006 (Abstract + Poster). Albertoni R., Bertone A., De Martino M., Demšar U., Hauska H. and Podolak I., A visual data mining approach for geodata selection in INVISIP, Abstract at 10th EC GI&GIS Workshop, Warsaw, Poland, June 2004 (Abstract +Presentation). Demšar U., Bertone A., Albertoni R., Podolak I., Visual data mining for exploration of geographic metadata, Poster at Geovisualisation 2004, Euresco conference, Chania, Greece, 2004. Albertoni R., Bertone A., De Martino M., A Visualization-Based Approach to Explore Geographic Metadata, WSCG POSTERS proceedings WSCG’2003 – The 11-th International Conference in Central Europe on Computer Graphics, Visualization and Computer Vision, Plzen, Czech Republic, 2003. De Martino M., Albertoni R., Roccatagliata E., Multilingual and Multicultural Issues including Thesaurus, European Commission, Nature-SDIplus ECP-2007-GEO-317007, Project Deliverable, 2009. Papaleo L., Albertoni R., García Rojas A.; Ontology for Shape Acquisition and Processing, 4rd version European Commission, AIM@SHAPE FP6 IST NoE 506766, Project Deliverable 1.2.2.4, Bruxelles, 2007. Papaleo L., Albertoni R., Pitikakis M., Robbiano F., Vasilakis G.; Ontology for Shape Acquisition and Processing, 3rd version, AIM@SHAPE FP6 IST NoE 506766, Project Deliverable 1.2.2.3, Bruxelles, 2007. Attene M., Biasotti S., Mortara M., Patané G., Robbiano F., Albertoni R., Catalano C. E., Marini S., Spagnuolo M., Falcidieno B.; Multi-Segmentation and Annotation of 3D Surface Meshes. Technical report IMATI-GE 06/2006, 2006. Papaleo L., Albertoni R., Robbiano F.; Preserving Information from Real Objects to Digital Shapes, Technical Report DISI-TR-06-20. Albertoni R., Bertone A., De Martino M.; Semantic Similarity tailored on Application Context, Technical Report CNR-IMATI-GE 1°/2006. Papaleo L., Albertoni R., Robbiano F., Marini S., Vasilakis G., Pitikakis M., Spagnuolo M., Moccozet L., Hassner T.; Ontology for Acquisition and Reconstruction Processes, 1st version, European Commission, AIM@SHAPE FP6 IST NoE 506766, Project Deliverable 1.2.2.1 Bruxelles, 2005. Vasilakis G., Pitikakis M., Albertoni R., Bertone A., Marini S., Robbiano F., Sevilmis N.; Search Engine Design, European Commission, AIM@SHAPE FP6 IST NoE 506766, Project Deliverable 2.3.2, Bruxelles, 2005. Pitikakis M., Vasilakis G., Marini S., Albertoni R., Bertone A., Robbiano F.; Ontology and Metadata Repository Design, European Commission, AIM@SHAPE FP6 IST NoE 506766, Project Deliverable 2.4.2, Bruxelles, 2005. Bertone A., Albertoni R., De Martino M.; Visualization of semantic similarity, Technical Report CNR-IMATI-GE n. 10/2005. Albertoni R., Bertone A., De Martino M.; Visualization and ontology to analyse categorical attributes in geographic metadata, Technical Report CNR-IMATI-GE 16°/2004. Bertone A., Albertoni R., De Martino M.; A Tool For Geographic Metadata Exploration, Technical Report CNR-IMATI-GE 15°/2004. Marangon F., Piccazzo M., Albertoni R., Bertone A., Podolak I.; Evaluation Report of Demonstrator, European Commission, INVISIP IST-2000-29640, Project Derivable 4.3, Bruxelles,2003. Albertoni R., Bertone A., Daenekyndt M., D’Agostino D.; Load Balancing Issue Based on Data Mining Techniques, Technical Report CNR-IMATI-GE 4°/2003. Piccazzo M., Valfrè G., Marangon F., De Martino M., Bertone A., Albertoni R., Dunkars M.; Architectural Concept of Analyser, European Commission, INVISIP IST-2000-29640, Project Derivable 4.1, Bruxelles, 2002. De Martino M., Bertone A., Albertoni R., Marangon F.; Co-ordinated Report on Analysis, European Commission, INVISIP IST-2000-29640, Project Derivable 2.5, Bruxelles, 2002. De Martino M., Bertone A., Albertoni R., Hauska H., Demšar U., Dunkars M.; Technical Report of Data Mining, European Commission, INVISIP IST-2000-29640, Project Derivable 2.2, Bruxelles, 2002. Albertoni R.; Semantic and Visual Analysis of Metadata to Search and Select Heterogeneous Information Resources, April (2007). [pdf].